Custom mouth guards are the safest and most efficient way to protect your teeth. When you meet with Inri T. Hsu, DMD, she will spend time going over your lifestyle and learning about your sport. This will allow her to create a mouth guard that’s ideal for your situation. A custom mouth guard is the surest way to protect your teeth from occupational or sport related damage. 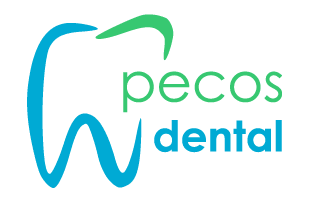 If you need to have a mouth guard made, schedule an appointment at Pecos Dental in Henderson, Nevada. Book either online or over the phone. You only need to wear your mouth guard while playing your sport or while sleeping; it’s not something you have to wear all day. Do I need a professional mouth guard made? It’s best to have a custom, professional mouth guard that’s designed just for you, especially if you’re an athlete. After all, roughly one-third of all dental injuries in the United States are sports-related, according to the American Dental Association. Because professional mouth guards are designed perfectly for your mouth, they won’t affect your breathing if you play sports. While you can undoubtedly get one-size-fits-all mouth guards at a store or online, these mouth guards can shift and fall out. Not only that, store-bought mouth guards can rub against your gums, cheeks, and lips causing open sores. This can lead to severe discomfort and bleeding. Dr. Hsu will take impressions of your upper arch, and possibly your lower arch if you need a lower mouth guard, too. Then, she molds specialized plastic material over the impression model of your teeth, forming your mouth guard on the spot. After your custom mouth guard is complete, Dr. Hsu will have you try it on to ensure proper fit and comfort. If it feels uncomfortable in places, she can make adjustments right away so you can start wearing your custom mouth guard the same day. Pecos Dental offers flexible scheduling for patients who need custom mouth guards. Book your appointment by calling the clinic, or by using the online booking feature.